Introducing our new Party weekend for 2018, come and join in the fun at our hotel based in the rolling Northamptonshire. Meet up with like-minded people for dinner, dancing and a jolly day out next Autumn. Join us on Friday night for a relaxing break for a Welcome Drink, dinner and then a disco to dance the night away. On Saturday we head into the lovely town of Warwick for a guided tour. Built on the River Avon originally in 914AD, much of it was rebuilt after the Great Fire in 1694.. Look out for the Collegiate Church of St. Mary with its tower and city views as well as the Lord Leyster Hospital. The afternoon is at leisure to grab a bite to eat and explore the town on our own or visit the Castle. 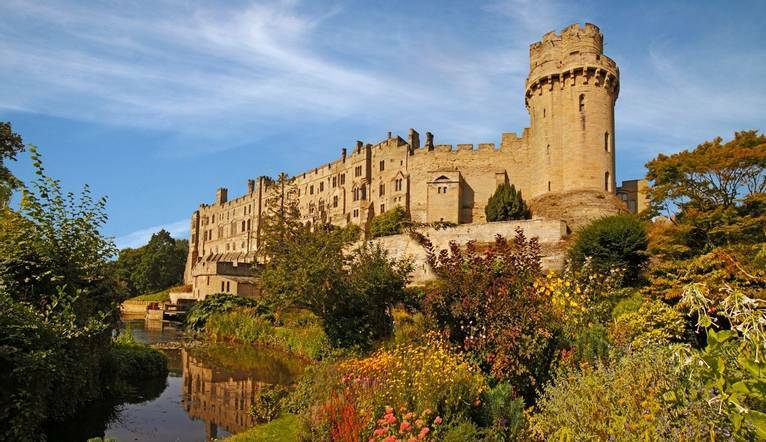 Sitting on a bend of the River Avon, Warwick Castle was built in 1068 on the orders of William the Conqueror and formed the most important part of the Norman castle's defence system. Advances in military architecture, however, made it more and more of an outpost. It was used as a fortification until the early 17th century, when Sir Fulke Greville converted it to a country house. It was owned by the Greville family, who became earls of Warwick in 1759, until 1978. When we return to the hotel we can enjoy the hotel’s leisure facilities before we meet up for evening dinner and dancing once more. The hotel is located off Junction 16 of the M1 with Long Buckby station just 14 miles away. Complimentary car parking is available. There is a guided sightseeing tour of Warwick with transfers included.